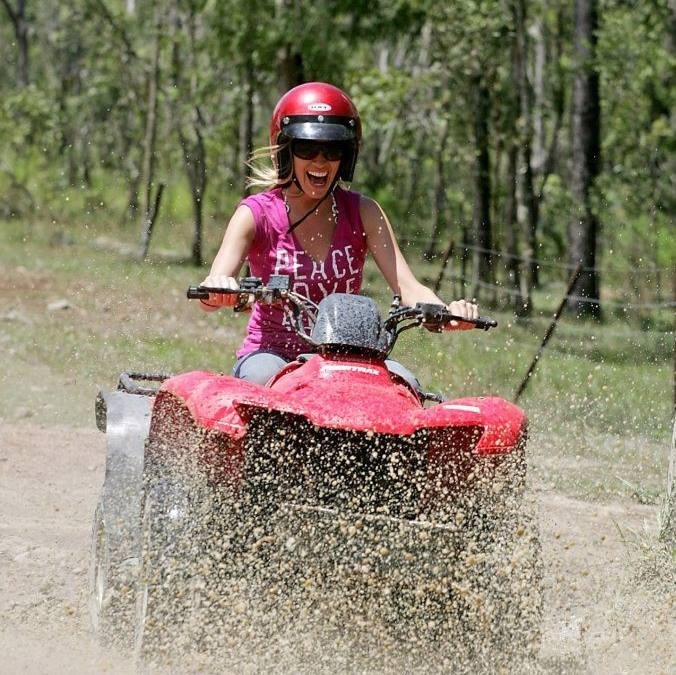 Horse Riding and ATV Package Tours with Blazing Saddles - Tourism Town - The Tourism Marketplace - Find and book authentic experiences. Arrive at Blazing Saddles, Yorkeys Knob Our friendly staff will greet you with Tea and Coffee and go through some formalities. Helmets fitted and ATV’s assignedSafety lessonAfter the training track, we head out to the main part of the property giving drivers a chance to improve their skills with steering and handling their ATV. Payment is not required at this stage. Horse Riding and ATV Package Tours with Blazing Saddles will contact you directly to confirm payment options and availability.